A: Be a part of the Project! We would love your donations of toiletries or cosmetics, non-perishable food items, shoe boxes, storage, transport or any other way you can think of to take part. 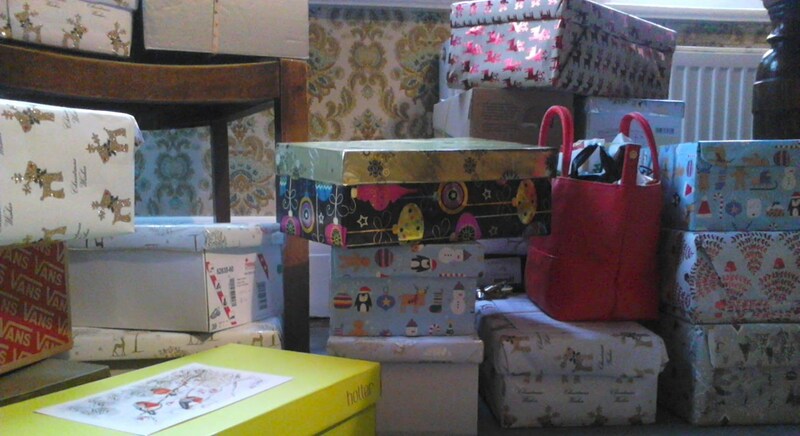 Once we have donations, we will hold a few 'packing parties' where we get together and have fun putting gift boxes together. Anyone is very welcome to join us! Or perhaps you would like to organise a collection at your work/ religious organisation/ church/ social club? Contact us (shoeboxoxford@gmail.com) for helpful hints, posters, & flyers to help you spread the word or go to our Useful Documents page. Q: Do you need money? A: This is all done on brains, good will and kindness – very little money! – so its success to date is all down to your efforts. However we do have some costs, and are also trying to fundraise for ODAS. Click here for details of how you can support us, either while you shop or surf the internet or with a direct donation. Q: What goes into a gift box? 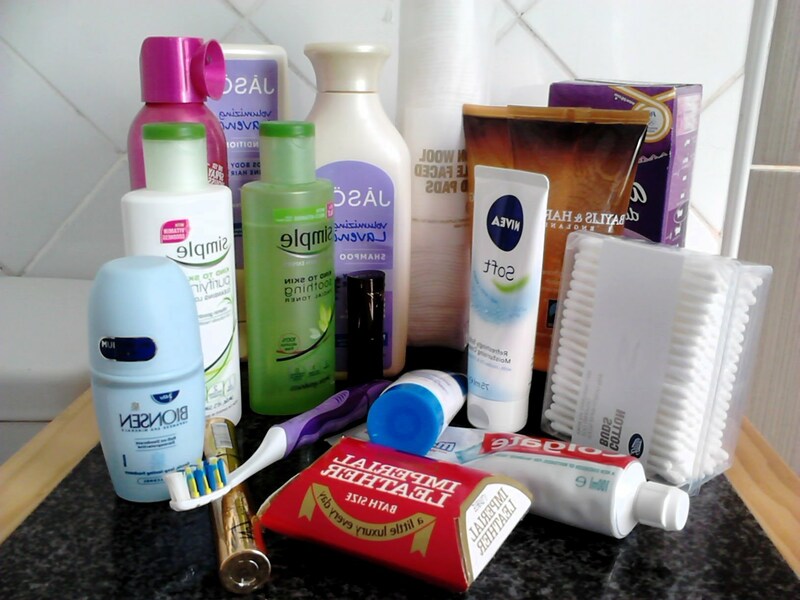 A: You don't have to pack a box, even a gift of a bottle of shampoo or bar of soap will help. Please click here for guidelines. Q: What happens to the groceries you collect? 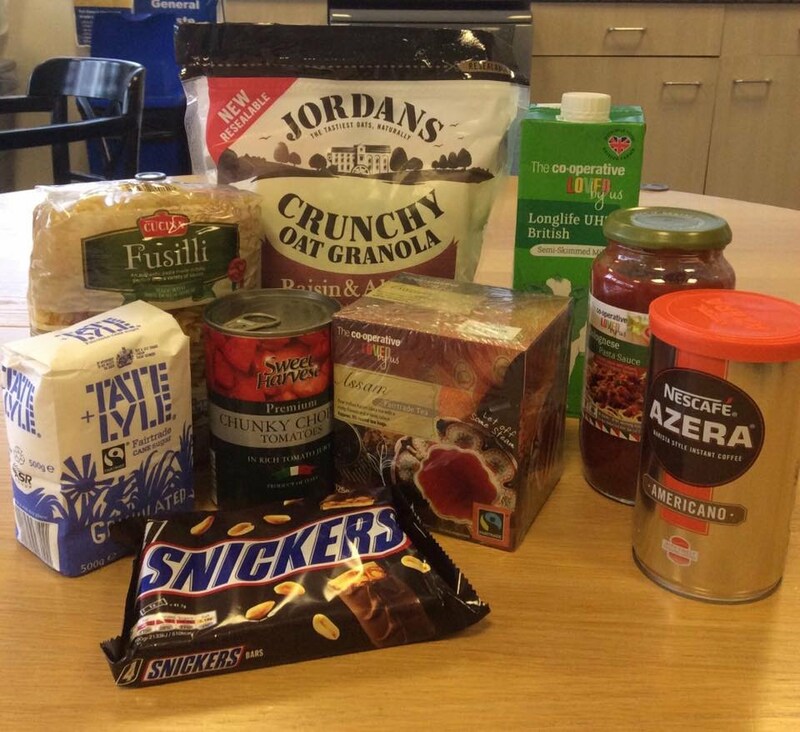 A: As requested by the domestic abuse services we don't make up food parcels. We just pass on what we are given and the services portion out the items as needed. Again, there is no need to buy a whole basket load, even just a packet of tea bags or tin of soup will help. So click here for guidelines of what to buy. Q: Where can I leave donations? A: We have donation points mainly in Oxford this year where our willing helpers will be collecting donations in November 2018, click here for details.